Planning to watch the 91st Annual Academy Awards? Want to watch them on the big screen and support a really great cause while you do? If you answered yes to either of these questions, you won’t want to miss the 10th Annual Awards Night at the Movies in support of the United Way Bruce Grey. The event is happening at the Owen Sound Galaxy Cinemas on February 24th, 2019 at 7:30 pm. Tickets are just $25 and may be purchased at the United Way Bruce Grey office at 380 9th Street East or at the door (while supplies last). Tickets include bottomless pop and popcorn plus there will be fun trivia, a silent auction, contests and our very own red carpet! 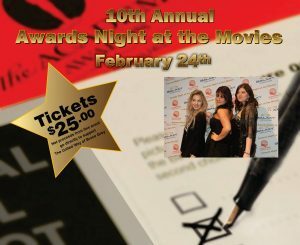 For all the details, be sure to visit www.AwardsNight.ca or call 519-376-1560.